these little poppet pendants are the delicious work of parisian artist servane gaxotte. 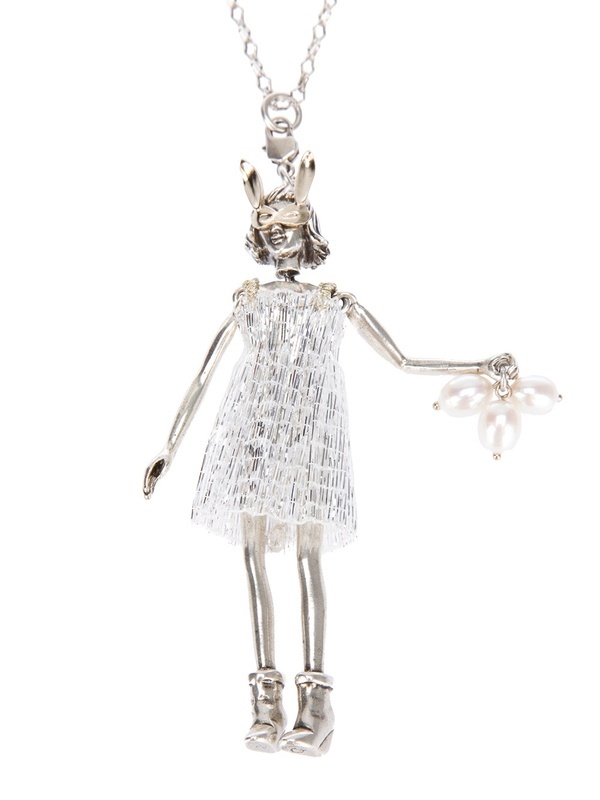 her whimsical designs are beautifully crafted and fully detailed with couture fashions. 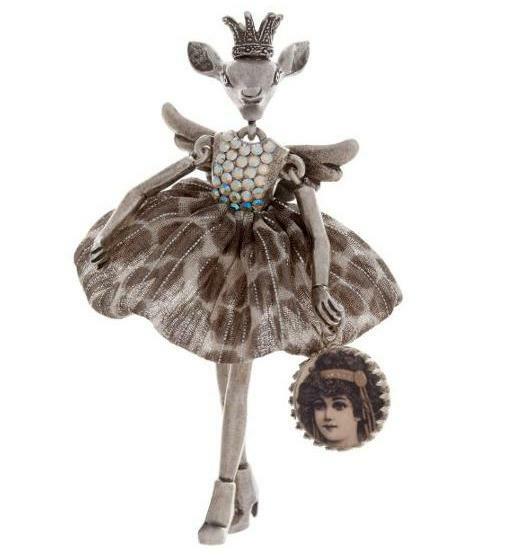 each figure is a delightful mix of anthropomorphic animals, bits of beautiful fabric and bejeweled touches for a one of a kind, darkly tinged, fairy tale effect. very distinct in personality, the only difficulty would be in deciding upon which one is right for you! these are beautiful! I love the deer princess in the party dress! me too! that’s my favorite!